In this fittingly-titled memoir, Rei Kawakubo, Cy Twombly, Ivy Compton-Burnett, and Little Richard are only a few of the diverse figures the Pope of Trash counts among his patron saints, in addition to less public ones like a butch Baltimore stripper and a cult pornographer obsessed with off-duty marines. Role Models is both an illuminating glimpse into a veritable queer godfather as well as a primal tale of how queer identities, rather than coming ready-made, are much more akin to a coat of many colors - and just like Dolly, we're all the richer for it. Here, from the incomparable John Waters, is a paean to the power of subversive inspiration that will delight, amuse, enrich—and happily horrify—readers everywhere. 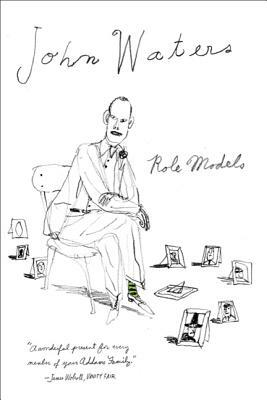 Role Models is, in fact, a self-portrait told through intimate profiles of favorite personalities—some famous, some unknown, some criminal, some surprisingly middle of the road. From Esther Martin, owner of the scariest bar in Baltimore, to the playwright Tennessee Williams; from the atheist leader Madalyn Murray O'Hair to the insane martyr Saint Catherine of Siena; from the English novelist Denton Welch to the timelessly appealing singer Johnny Mathis—these are the extreme figures who helped the author form his own brand of neurotic happiness. Role Models is a personal invitation into one of the most unique, perverse, and hilarious artistic minds of our time.